Regional /Independent Local Radio – Advertising. 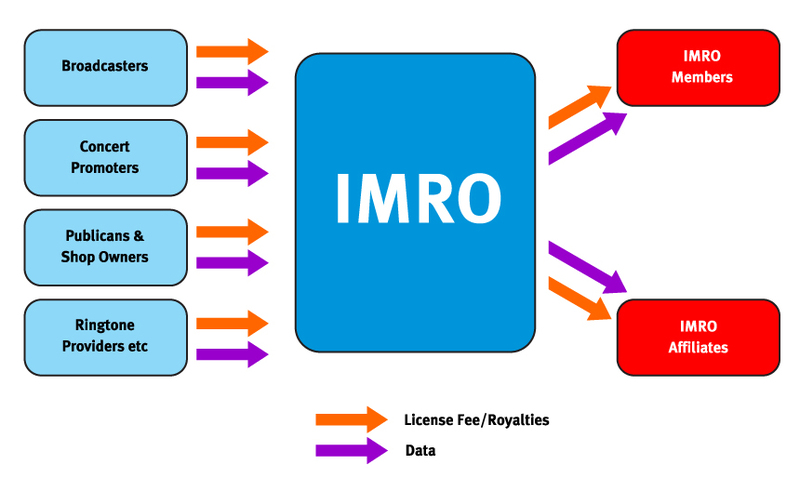 Under the terms of IMRO’s license agreements, many of IMRO’s customers are obliged to report to IMRO the musical works that they have used e.g. played on radio or at a live concert etc. These lists are brought into IMRO’s Distribution System and matched against the almost 22 million works held on IMRO’s database. 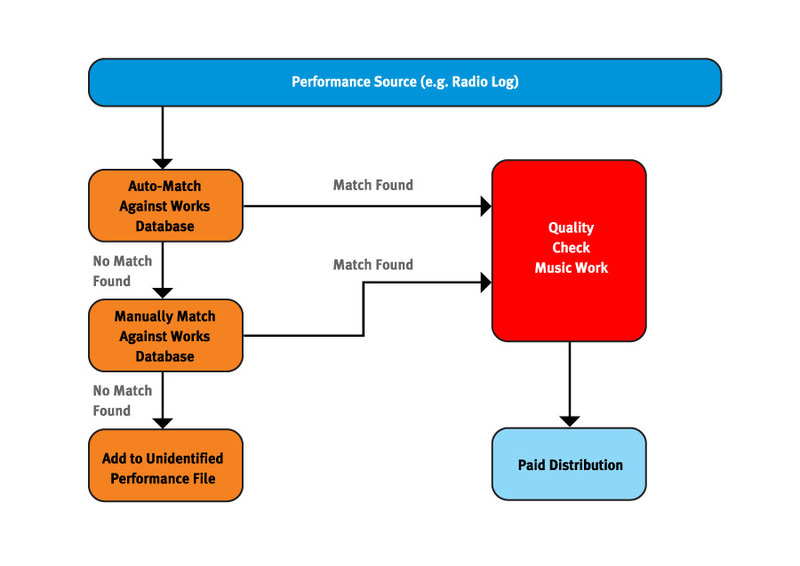 IMRO then uses this information together with information provided by its members, affiliate societies and third parties to identify the copyright owners of each musical work used and to calculate the royalties due. The advertising logs for each Regional /Local stations are processed separately. 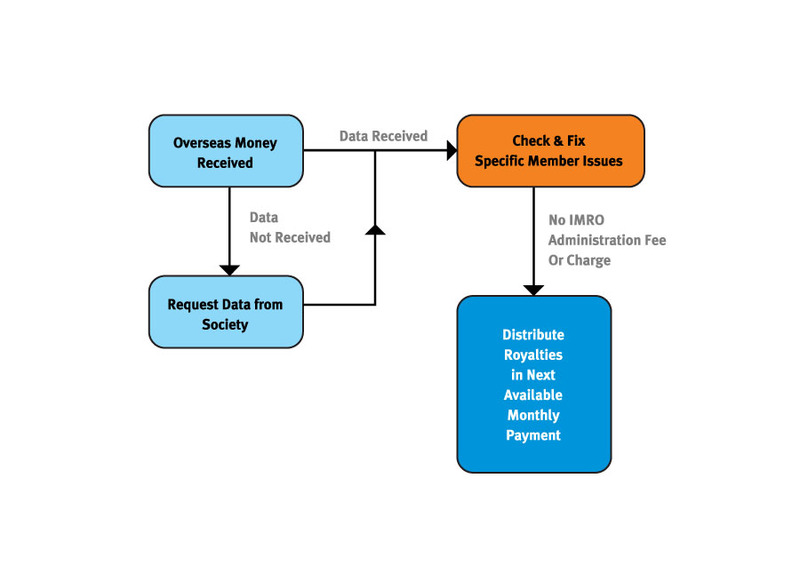 Specifically Invoiced Live Events Census Per play basis. 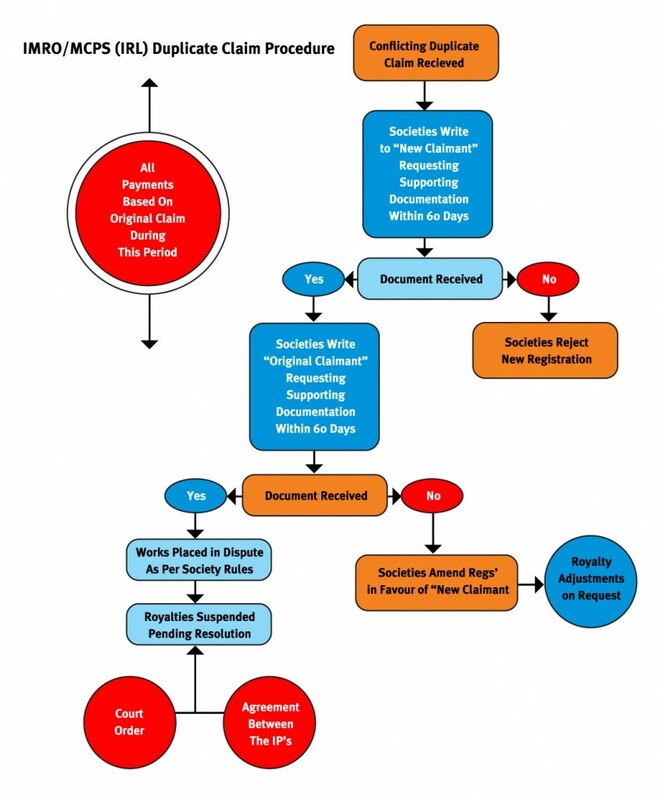 Generally these are larger invoiced events. 60% of net revenue is paid to the Headline Act and 40% to the Support Act/Acts. Where more than 8 acts play at an event it is classed as a festival and the royalties are split evenly between all acts. 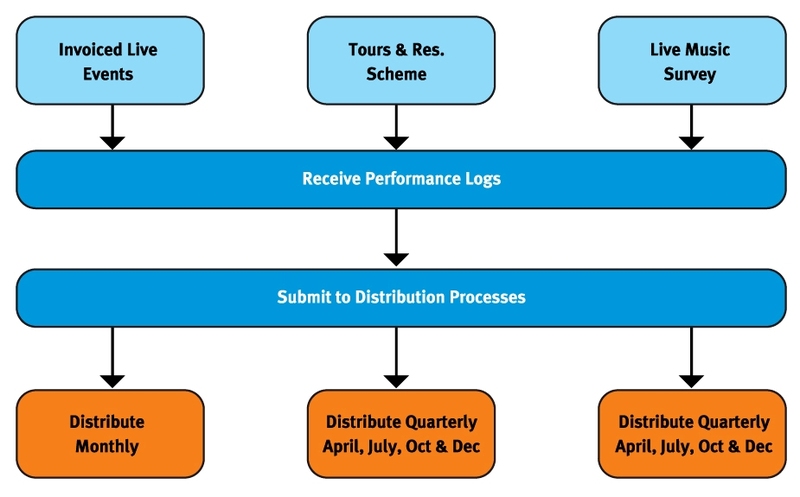 Tours & Residencies Self Reporting Scheme Reported gigs receive €20 gross per venue per day within a 3 month reporting period.